The Volkswagen Arteon is a new fastback model positioned above the Passat offering a spacious interior for this type of body style, with ample head and legroom for all the seats. The Arteon has the latest generation of driver assistance systems that are typically found in luxury automobiles. The new Volkswagen Arteon will makes its world debut soon at the Geneva Auto Show. 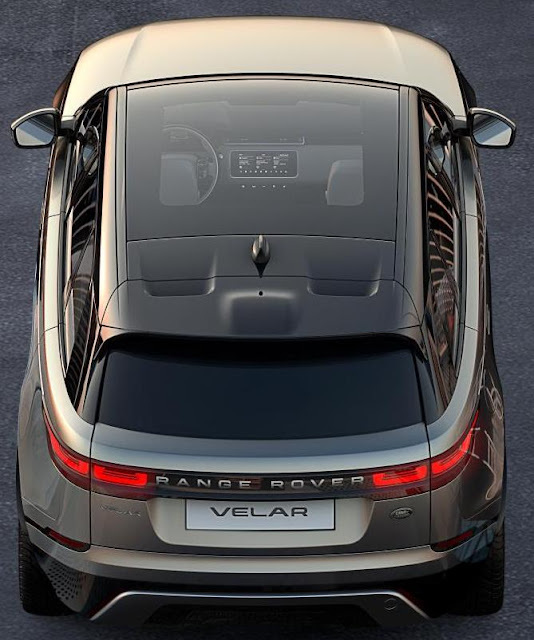 The new Range Rover Velar, the fourth member of the Range Rover family that fits between the Range Rover Evoque and the Range Rover Sport, will be unveiled on March 1, at the at the 2017 New York International Auto Show. The all-new Lexus LS 500h will debut at the Geneva Auto Show on March 7th. The Volvo V90 Wagon comes with either Volvo’s T5 FWD, turbo-charged Drive-E engine or T6 AWD, turbo and super-charged powertrain in Inscription or R-Design trim. Leather seats, a Panoramic moonroof, Blind Spot Information System, Apple CarPlay and Android Auto are standard along with City Safety, which includes automatic emergency braking with pedestrian, cyclist and large animal detection. The T5 FWD R-Design V90 will start at $49,950 and is now available to order for U.S. customers via Volvo Concierge, one-to-one interaction with a Volvo representative online. 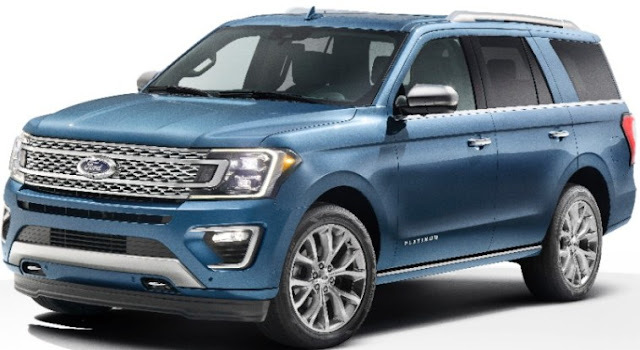 The all-new 2018 Ford Expedition full-size SUV, available in XLT, Limited and Platinum series, with an all-new high-strength, aluminum-alloy body and redesigned high-strength steel frame making it 300 pounds lighter, is powered by a 3.5-liter EcoBoost® engine mated to a 10-speed automatic transmission. New driver-assist technologies include enhanced active park assist to easily pull in and out of parking spots, available 360-degree camera technology, lane-keeping aid, adaptive cruise control with stop-and-go, collision avoidance detection and available Blind Spot Information. The new 2018 Dodge Durango SRT three-row SUV is powered by a 475 horsepower 392-cubic-inch HEMI® V-8 engine mated to a standard TorqueFlite eight-speed automatic transmission specifically calibrated for the Dodge Durango SRT to optimize shift points and deliver maximum torque to all four wheels for a 0-60 mph time of 4.4 seconds. A new electronic T-shifter provides the driver with intuitive gear selection while a new SRT seven-mode drive system gives the driver a wide choice of settings, including the new Sport Mode which reduces shift times by up to 50 percent versus Auto Mode to deliver up to 65 percent of the 392 HEMI engine’s torque to the rear wheels. The new Track Mode provides 160-millisecond shifts and up to 70 percent of engine torque to the rear wheels. All customers who buy a new Durango SRT will receive one full-day session at the Bob Bondurant School of High Performance Driving. The new 2018 Dodge Durango SRT will start arriving in Dodge dealerships during fourth quarter of this year. The 2017 Mitsubishi Outlander Sport Limited Edition boasts bold new exterior aesthetics including an alloy fuel door, black painted door mirrors and 18" alloy wheels, fog lamps, HID headlamps, a rear view camera and a Limited Edition badge. The Outlander Sport Limited Edition will be in dealerships later this month for $21,995 and available through the end of the model year. The new 2017 Jeep Wrangler Rubicon Recon Edition, with a 285 horsepower 3.6-liter Pentastar V-6 engine, is equipped with Wrangler’s part-time four-wheel-drive system that has electronic-locking front and rear Dana 44 axles with power being sent to each through a Rock-Trac transfer case and is mated to a six-speed manual transmission. The new 2017 Jeep Wrangler Rubicon Recon Edition has a stronger front axle, enhanced rock rails, heavy-duty cast differential covers and a standard eight-speaker audio system with an optional Premium Alpine Audio Package that includes nine Alpine speakers, a subwoofer and a 552-watt amplifier. The new 2017 Jeep Wrangler Rubicon Recon Edition is priced at $39,145 for the two-door model and $42,945 for the Wrangler Unlimited (four-door) model and arrives in showrooms later this month. The 2018 Subaru Legacy midsize sedan, with revised styling and upgrades, is powered by a 175 horsepower 2.5-liter 4-cylinder BOXER engine, or, as the Legacy 3.6R with a 256 horsepower 3.6-liter 6-cylinder BOXER engine mated to a Lineartronic CVT (continuously variable transmission) with manual mode, paddle shift control switches and Symmetrical All-Wheel Drive. New for 2018 includes tire pressure monitoring, a larger Blind Spot Detection/Rear Cross Traffic Alert indicator lamp and redesigned LED turn signals in the mirrors. All Legacy trim lines come standard with a rear-view camera. The 2018 Subaru Legacy will go on sale this summer. General Motors (Chevrolet, Buick, GMC, Cadillac) delivered 195,909 vehicles in January, down 3.8 percent year over year. Ford sales of 172,612 vehicles for January was a 0.6 percent decline from February 2016. Of that total, Lincoln sales were 8,785 vehicles, up 22 percent over a year ago. Toyota Motor North America reported its U.S. January 2017 sales of 143,048 vehicles, a decrease of 11.3 percent from January 2016. Toyota division posted January sales of 127,476, down 9.2 percent while Lexus posted January sales of 15,572 vehicles, down 25.6 percent. FCA (Chrysler, Dodge, Ram, Jeep, Fiat, Alfa Romeo) reported U.S. sales of 152,218, an 11 percent decrease compared with sales in January 2016. American Honda reported total January sales of 106,380 Honda and Acura vehicles, an increase of 5.9 percent over January 2016 and a new record for the month. Honda Division sales were 97,178 rising 7.7 percent while Acura Division sales totaled 9,202 vehicles in January, a decrease of 10.2 percent. Nissan Group announced total U.S. sales for January 2017 of 112,319, an increase of 6 percent over the prior year and a January record. while Infiniti reported sales of 11,558 vehicles in the U.S. during January, an increase of 36 percent, an all-time record January for the brand. Subaru of America reported 43,879 vehicle sales for January 2017, a 6.8 percent increase over January 2016, and the best January in the history of the company. Volkswagen of America reported sales of 23,510 in January 2017, a 17.1 percent increase over January 2016. Separately, Audi of America’s January sales increased 11 percent to 13,201 vehicles. Mercedes-Benz USA reported record January sales of 25,527, topping last January’s record volume. Adding 2,049 for Vans and 324 for smart, MBUSA achieved its highest January to date with a grand total of 27,900 vehicles, up 3.5 percent from a year ago. Mazda North American Operations reported January U.S. sales of 21,698 vehicles, an increase of 10.1 percent versus January of last year, and the best January sales month in five years. BMW brand sold 18,109 vehicles in January, an increase of 0.1 percent compared to January, 2016. Jaguar Land Rover North America had its best ever January with U.S. sales for both brands of 9,102, a 30 percent increase. Jaguar sales were 2,939, a 117 percent increase and Land Rover sales reached 6,163, up 9 percent from January 2016. Mitsubishi Motors North America reported January 2017 sales of 6,457, an increase of 3.1 percent over January 2016. Porsche Cars North America delivered 4,602 vehicles in January, up 5.7 percent over the same period last year, for the strongest January sales month ever recorded by the company. Volvo Car USA reported U.S. sales of 3,472 vehicles for the month of January, an 18.2 percent decrease.